The Harrod Sport ® 7 v 7 Folding Steel Football Posts 12ft x 6ft have been designed so they are easy to assemble, disassemble and store. 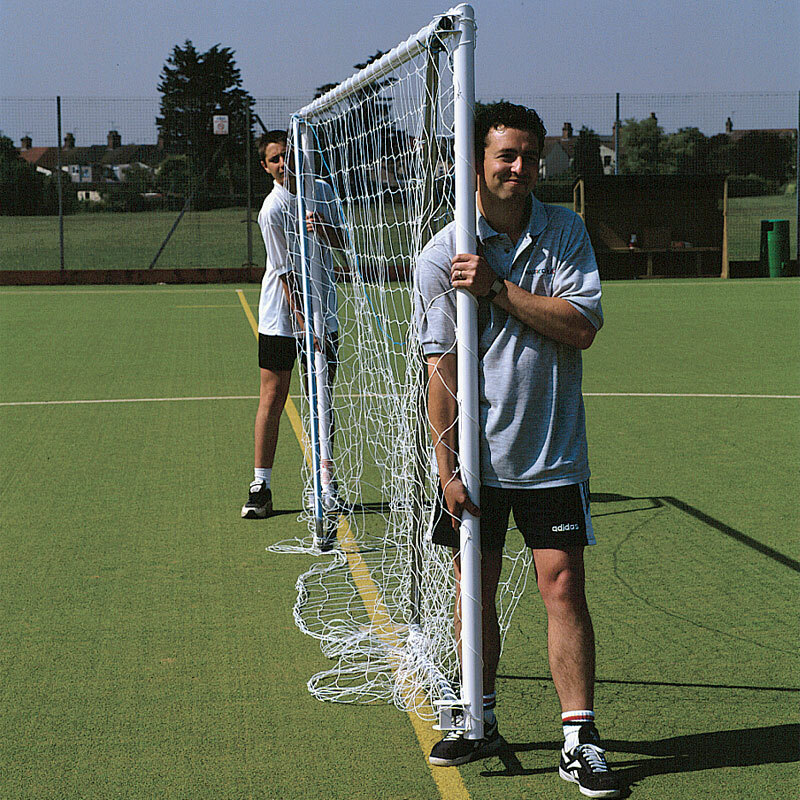 2 x Folding Steel Goal Posts 12ft x 6ft. 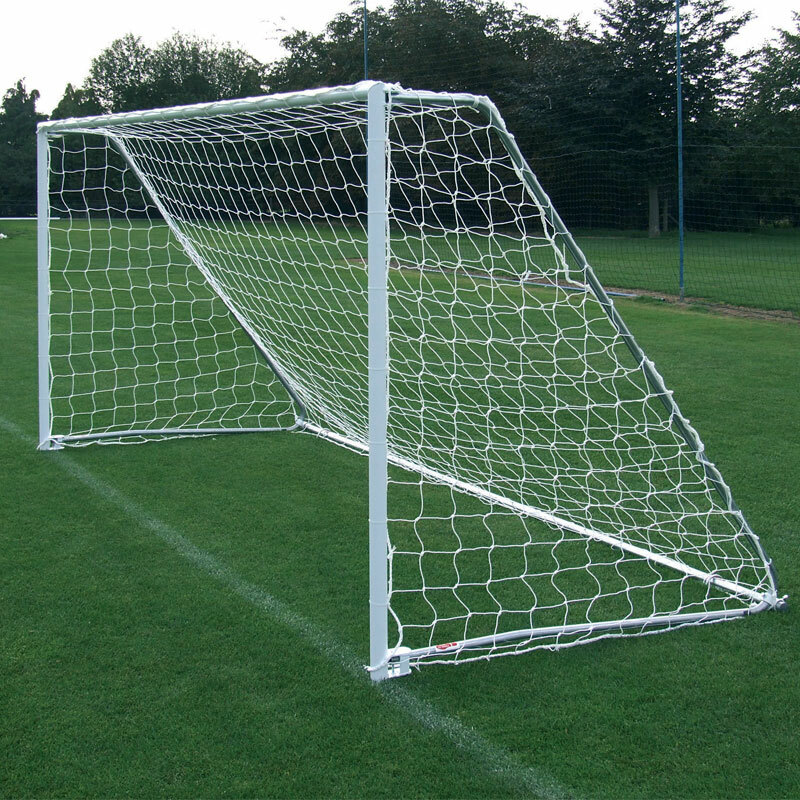 1 x Folding Steel Goal Post 12ft x 6ft. Uprights and crossbars are manufactured from 50.8mm diameter x 2.6mm thick steel. Complete with 32mm x 1.5mm thick galvanised steel full back supports. Sprung loaded folding side frame for ease of use and storage, complete with detachable 42.4mm diameter x 3.2mm galvanised steel bottom bar. 3.66m x 1.83m (12' x 6'). Weight 91kg per pair, 45.5kg per single. Excellent set of goals easy to build and fold flat for storage. Ideal for kids seven a side. Great service from Netwitts delivered well within time and hassle free.